Drogo Gaines (John Hubbard) is a rich man and a notorious womanizer who has finally decided to settle down. The woman he’s marrying, however, is likely a gold digger. He realizes this at the last minute after pretending to pass out and hearing his bride say she should have married someone else with just as much money. Drogo plans to leave the lady at the altar, but she won’t let that happen. His wife-to-be tosses him into an asylum, where he befriends a quirky patient known as Colonel Carraway (Adolphe Menjou). Carraway isn’t unhappy with life at the asylum — it allows him to relax and fish all day. He stays by choice. But eventually, the two men decide to escape together after Carraway finds out that he’s going to be forced to leave the asylum and live with his family. Drogo and the Colonel hitch a ride with a beautiful blond woman who turns out to be a carnival owner named Penguin Moore (Carole Landis). So, off to the carnival they go, free of the asylum but surrounded by just as many quirky characters, and with a gaggle of people looking for them. 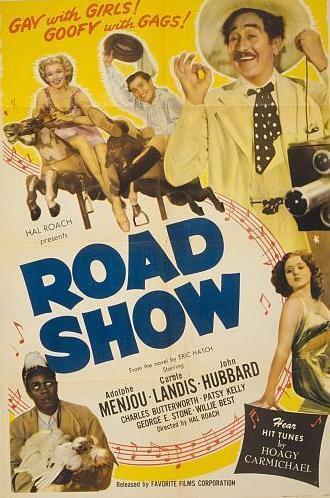 Hal Roach directs 1941’s Road Show. The screenplay was written by Arnold Belgard, Harry Langdon and Mickell Novak, based on the novel by Eric Hatch. Road Show appears in the Mill Creek 50 Classic Musicals set, in quite good quality. 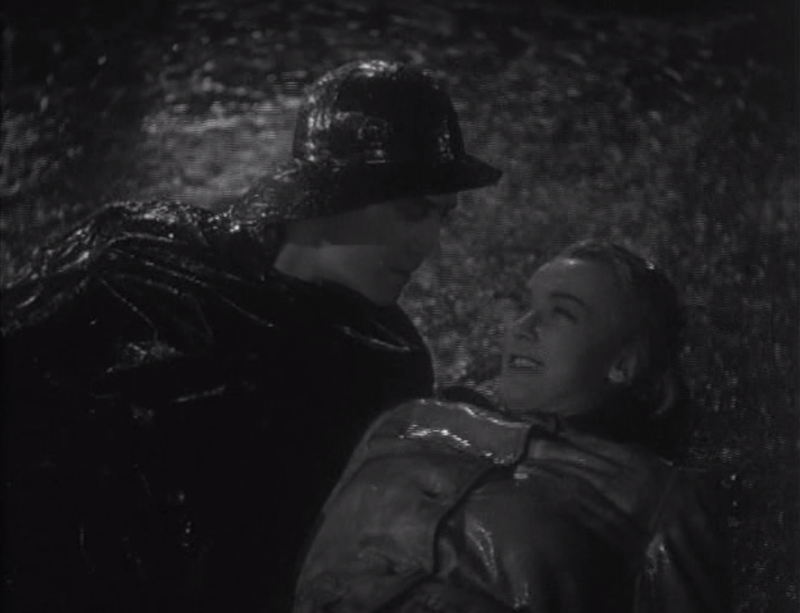 The sound and picture are both very clear, making it one of the best-preserved films in the set. Though this film appears in the Musicals set, it isn’t your traditional musical. Only one of the songs is sung by a main character. (Carole Landis has one number, but her voice is dubbed, so none of the lead actors sing in the film.) Most of them are contributed by a quartet – “The Charioteers” – who work at Penguin Moore’s carnival. The songs, though few and far between, are very nice to listen to. Luckily, with the lack of musical numbers, this is not a film that needs to rely on its songs to entertain the audience. 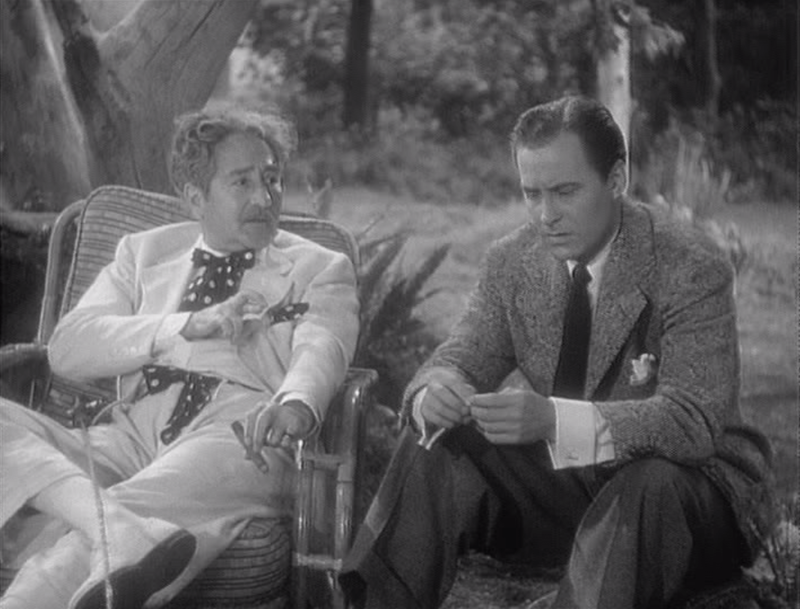 Adolphe Menjou, for one, is incredibly fun to watch. His performance is perfect – full of charisma, and he delivers all of his many one-liners perfectly. His character is entertaining, and he’s the perfect actor to suit the role. Carole Landis is also fantastic. She and Menjou are highlights of the cast, though all of the performers do quite a good job in their roles. Even John Hubbard, an actor I’m not familiar with despite his 140 film and television credits, is a great fit for the film and makes a nice potential love interest for Landis. I love Carole Landis, and this is one I haven’t yet seen. Thanks for the heads up…I’ll try to track it down and add a review to my Carole index! Hope you’re able to give it a watch soon, it’s a fun film and Carole is great in it! You can probably find it on the Internet Archive.